Michylicious: Happily Ever After -We've decided to get MARRIED! I am getting married - woohoo!! In life, we plan and we tried our very best to execute our plan but God decides and pre-destined our life.. It's so awesome to know that God holds my future and pre-destined my life... He knows what best for me and He want the best for me.. He gave me His very best, His One and Only begotten darling son, Jesus! Although my childhood dream wedding didn't come true (yup, my husband to be is NOT a rich guy with extremely good looks, neither is He full of charisma but he is the one whom love me most! ), I am sure, the path ahead is an awesome journey of love with Jesus in the centre..
A little bit of our journey summary if you didn't know us personally.. 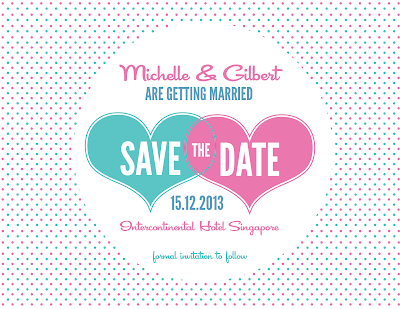 I have been in a relationship with Gilbert for the pass 12 years, going to be our 13 years this 15th November 2013! He didn't propose to me, instead is more like a mutual thingy ... Well I do hope he will propose although we have decided to get married! I have a lot more to updates about our journey towards Blessed Happily Ever After! !